These berries are more than just a treat. They're the way to survive on Reality TV Island! Are you ready to rock out? 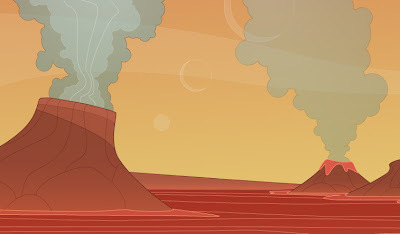 We just posted 2 new t-shirt designs in our store! 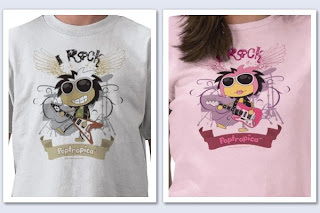 For all of you who are hungry for more Poptropica t-shirts, we'll be posting a new design in our store every Friday for the next month. Stay tuned! 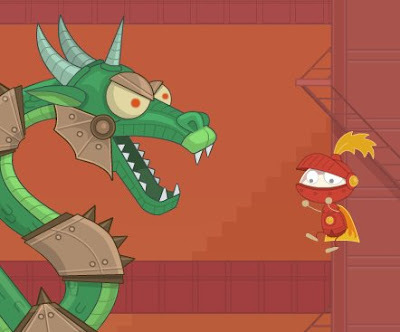 Astro-Knights Island can be a dangerous place! 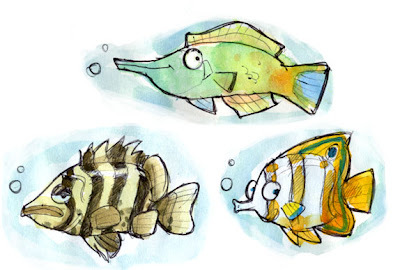 Check out these cool fish I recently saw on my adventures. They were so amazing that I had to sketch them in my sketch book in order to show the world! I was surrounded. A multitude of black and white striped shirts and pale faces were on every side. It was strange though, for they all looked identical! I don't know how she did it, but she was able to duplicate herself over and over again. "COPY CAT!" The shout rang out down the street. She turned, as did all of her other clones. They all seemed to jump in unison, like the waves of the sea as they passed Shark Tooth Island. Almost instantly, a chorus of screeches erupted from the crowd that nearly shattered the lens of my poor camera. "RATS!" she screamed, as the little beasts scurried around her feet. A man was off in the distance, laughing as he watched his army of rodents torment all of the copies of his victim. Thanks to their little skirmish, I was able to get away without too much trouble. I walked into the newspaper building that was nearby. I had been there before, so it was nice returning to a familiar place. 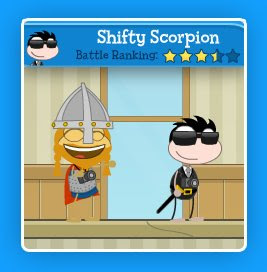 Here I met Shifty Scorpion. He was shifty indeed! Trying to get a photo of him was terribly difficult, but I had to photograph his interesting costume and share it with all of you! Keep your eyes open! 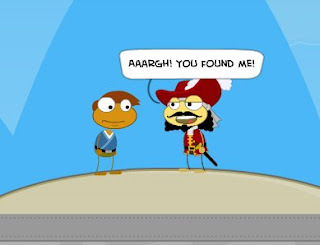 You could be the next Poptropican featured on Snapshot Sagas! On Astro-Knights Island you'll be able to build your own custom rocket to explore space! Have I ever mentioned that I'm drawn to light like a moth? This island had some cool torches that I couldn't help but admire for awhile. 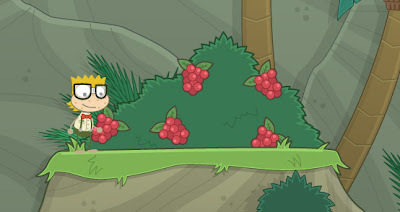 Someone is running around turning all the Poptropicans gold! 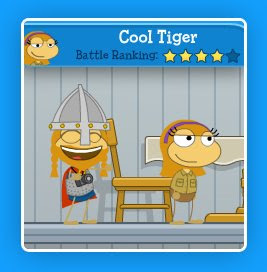 You can turn other Poptropicans into gold if you've found the Golden Touch! Finding my way around in the dark was easy. I just followed a mysterious red beam that occasionally flashed down from the sky, and found my way to the streets of a grand city. 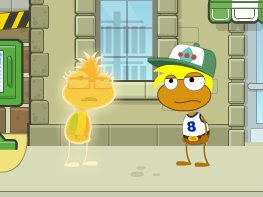 The first Poptropican that I ran into was walking down the street in front of the Hair Club. I had asked how they were able to build such tall buildings, when that same red light from before burst from the sky and struck him on the head! 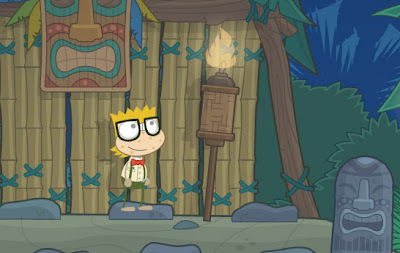 The Poptropican's hair was vaporized in an instant, and I had to duck through the front doors of the Hair Club to save my beautiful locks from a similar fate. 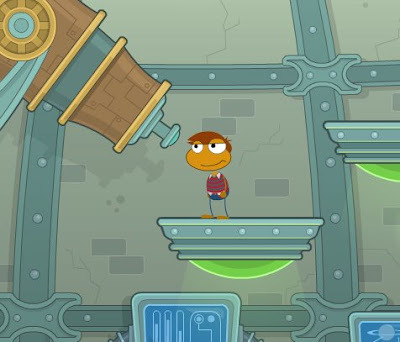 To my surprise, many Poptropicans had also taken cover inside the building to save their own hair from the cursed beam of light! I met Cool Tiger there, and I think her name was very fitting, for she did not look in the least bit concerned about the hazardous hair removal occurring outside. Cool indeed. I took her photo to add to my collection before she left to conquer the mysterious light on her own! A very, very cool customer. 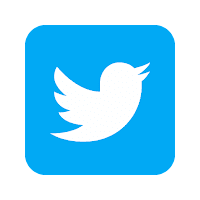 Who will be featured next in snapshot sagas? 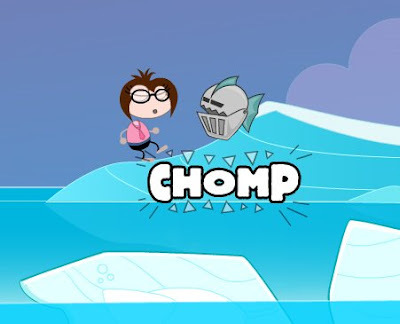 There's a new adventure across Poptropica for kids who are 6-8. Try to find all 3 pirates who are hiding on different islands!